My Weekend Finds- Saving the Best for Last	What’s in a Name? Disassembly began. I wanted to save as much of the oak as possible. The top was oak planks and all of the trim was solid oak. We had to negotiate the height. 17 inches was the final decision. After disassembly we took stock of what we had on hand at at the Garagemahal and made our journey to Home Depot for bead board, moulding, and plywood. 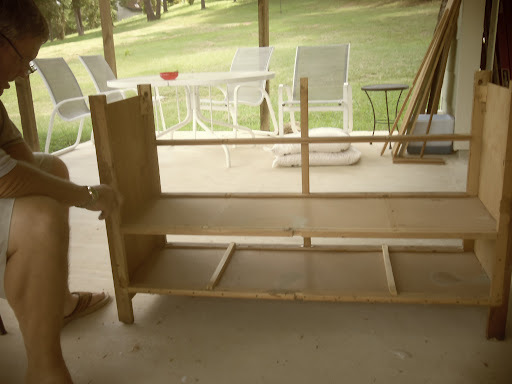 To this point I have $27.00 in plywood,$20.00 in bead board, $5.00 in moulding, $10.00 in a mirror, $7.00 in a cushion, and $12.00 in knobs into this free bench. 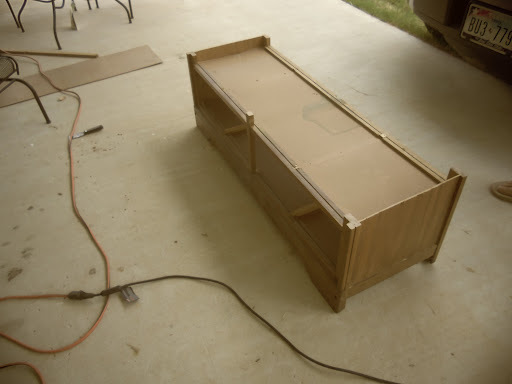 I do not have any paint to use for this one so I have to figure in another $30.00 in paint. Hubby is really wanting a new air compressor so my suspension is that this project is going to cost me WAY more than I would like. Without the compressor, I have $111.00 sunk into this bad boy… so far. 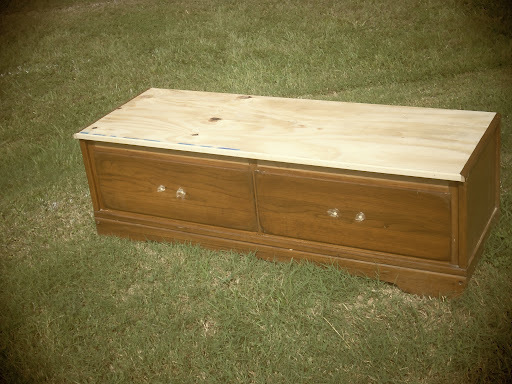 I hope that I can keep it under $150.00 or Hubby is never going to let me bring home any more stray furniture. I really have used up my hoard this summer so there is not much left over stuff to work with. 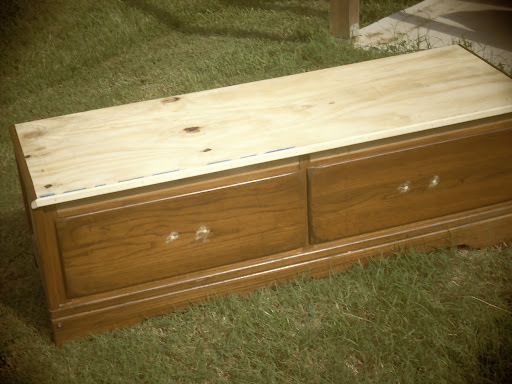 The next step after returning from Home Depot was to cut a top for the bench. 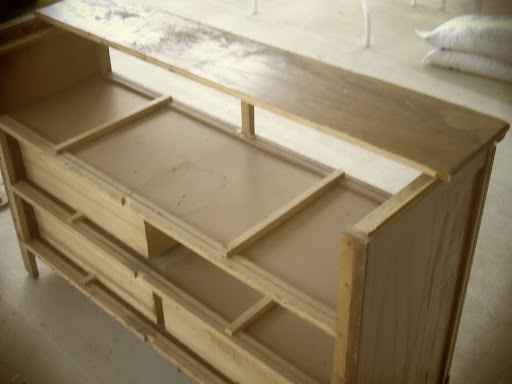 We added some of the trim from the dresser to the sides to cover the edge of the plywood. I really hated to use the oak trim for a painted piece but the price was right. We had to buy some trim for the front. Here is the bench assembled. Next will be the building of the top part. We will have a great piece in a few weeks!